Overnight masks, sleeping masks, overnight oils…the skincare market has seen a boom of nighttime products erupt in recent months. But are they effective enough to add into your nightly regime? 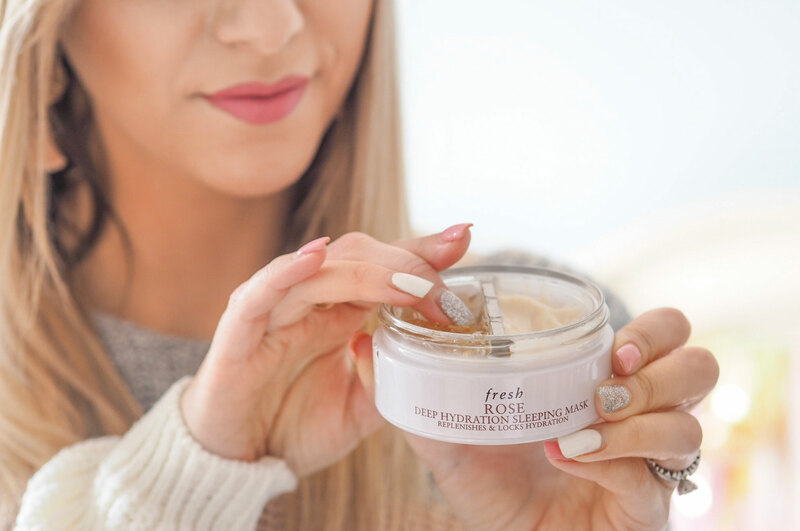 I put the Fresh Rose Deep Hydration Sleeping Mask to the test..
I’m a die-hard Fresh fan. I love their products and have featured them numerous times on my blog and social channels. I find their skincare to be gentle enough on my skin that it doesn’t irritate or cause blemishes but it’s also still really high performance. It’s what I’d class as a great brand for finding skincare balance. The masks especially have been a favourite of mine for a few years now. As a face mask-a-holic, I can’t get enough of a good ole’ mask! 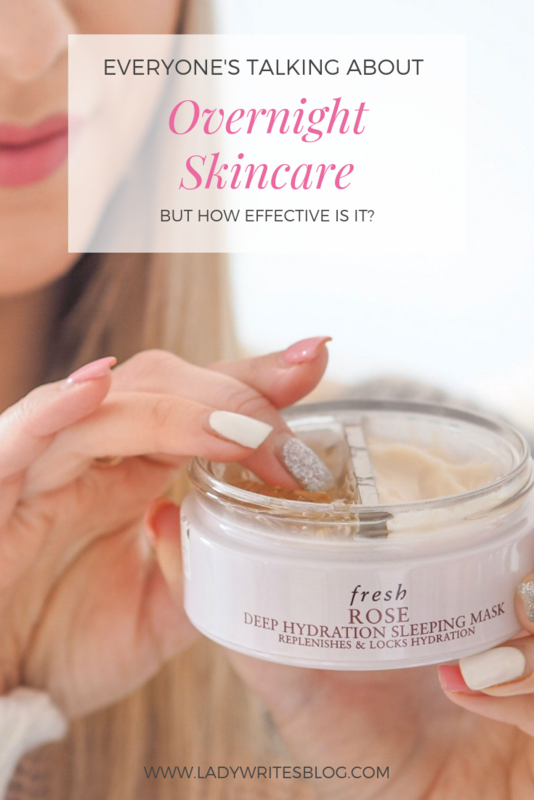 So when I heard about the brand new Rose Deep Hydration Sleeping Mask I knew instantly I needed to try it. Not just because of loving my face masks, but because I’ve been sucked in hook, line and sinker for overnight skincare recently. 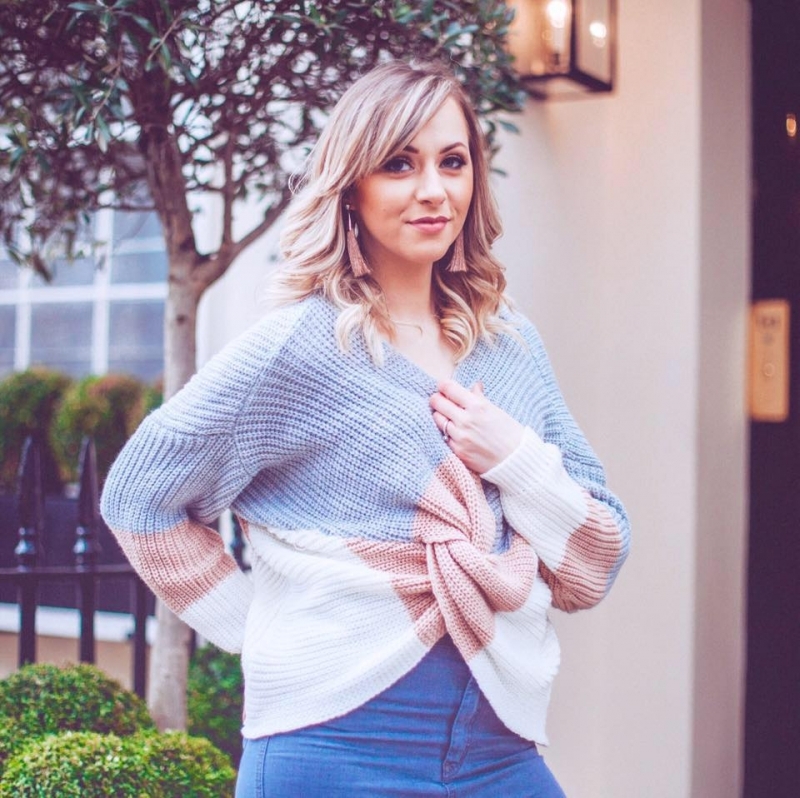 As a busy mum of two, someone who blogs full time and runs her own business (and who’s simultaneously planned a wedding!) I am stretched to the max these days. I know the importance of a good and thorough skincare regime, but even then there are times I’m so exhausted that I’m not always as ‘on it’ as I should be, and occasionally I miss steps just to get to bed quicker. I think on some level we all know that feeling, right?! Anyway, it’s not just being busy that drew me in to the sleeping-skincare craze of recent months, but also because I’m a sucker for a beauty discovery that’s multi-purpose, nifty or just a little bit clever. And the idea behind overnight skincare products is just that: clever. But also really simple: it’s skincare that is applied in order to work at night. Many products before have said they work overnight – for example it’s always recommended that you sleep in facial oils etc. But overnight skincare is designed specifically to be slept in. Which I love because I can get a skincare hit of TLC while I sleep and it’s not using any extra time or effort, and my skin is still getting it’s absolute best. 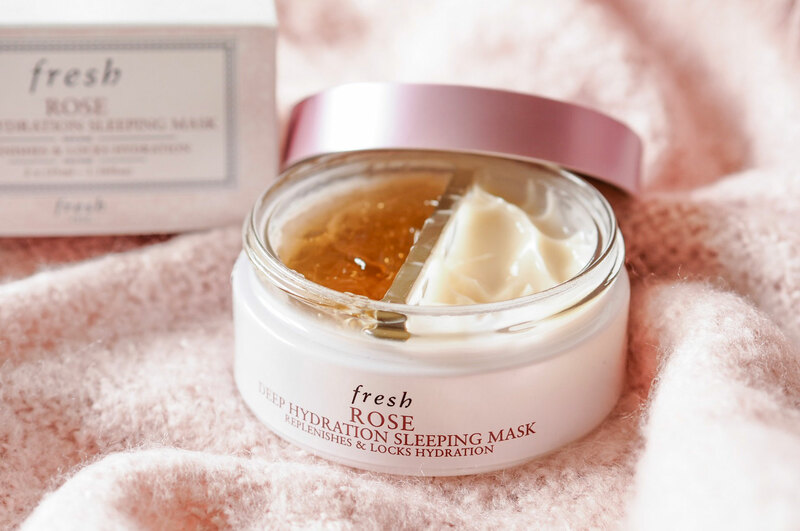 The Fresh Rose Deep Hydration Sleeping Mask is a nifty 2 part mask that is made with real rose extract so it smells gorgeous and looks really refreshing. The first of the two steps is the gel-like formula containing rose extract and hyaluronic acid. This is applied all over the face – almost like a serum. It absorbs quickly and feels really cooling upon application thanks to the cooling properties in the gel. It’s really relaxing and I always enjoy putting it on because of that – so I can vouch for it being perfect for bedtime in that sense! The second step is the milky-cream part, which is almost like the moisturiser. 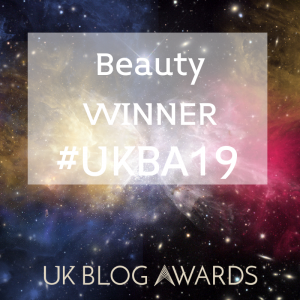 This contains a “time-lapse” technology which seals in the gel and allows the rose extracts to hyaluronic acid to slowly work overnight – not allowing all properties to activate at once, but in a more time sensitive manner to get the best for a longer period. The idea of this mask is that it smooths and plumps skin overnight and it claims that you should be able to see a visible improvement by the morning. Having now been using this several times a week for a few weeks in a row I’m able to say that I 100% agree with my skin looking a bit softer by morning – and feeling it too. Even on nights when I’ve slept badly, if I’ve used this, my skin still looks plump and soft and doesn’t show signs of a bad night. I noticed that my cheeks where I’d been getting dry patches recently, were looking better in the mornings that followed a nightly application and I was pleased with the way the fine lines around my eyes looked too. Using this has been a really nice addition to my existing regime. While I wouldn’t recommend using it instead of parts of your normal routine, I would recommend introducing it alongside it. In fact, I implore you to! I’ll use this maybe three times per week, and on those nights I use this instead of my nightly serum and moisturiser. Then the remainder of the week I just use my normal products. The balance between them has given me the best results and my skin is looking all the better for having this in my bathroom. Overnight skincare is an area set to see continued growth I think. 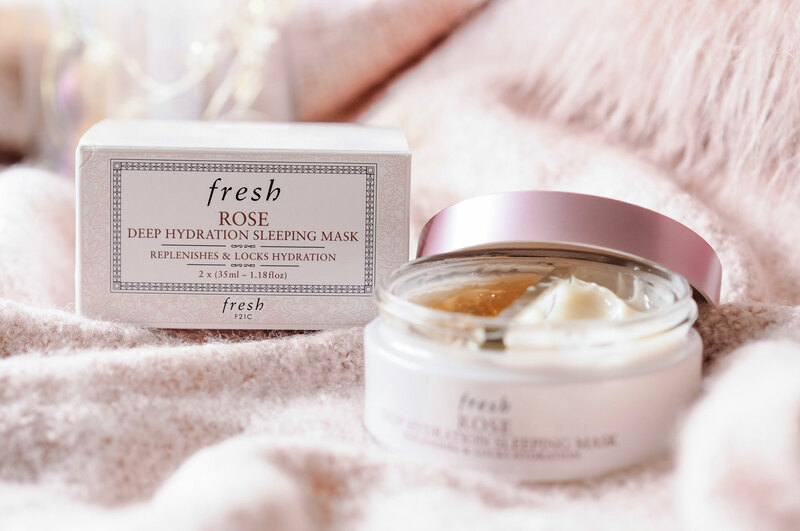 More and more brands will see the success that products like the Fresh Rose Deep Hydration Sleeping Mask have achieved and want to have some for themselves. I’m excited to see what newness comes from this little boom, because I’m a full flag-waving fan of sleeping masks! But I will say that any sleeping mask I try is going to have to do quite a lot to push this one out of it’s place now. 100% recommended, very effective and with the Lady Writes seal of approval. I received this mask and it is truly super luxurious on the skin and hydrating. It’s great for some much needed mom self-care! Oh wow that looks SO nice! I love the fresh rose range too – definitely worth while picking up by the looks of it! This looks really lovely and I love the sound of the cooling properties! The packaging is so cute! I love overnight products! I’ve never tried a sleeping mask before. I’ve actually never tried anything from Fresh but this sounds so lovely! This mask sounds lovely. I don’t have many overnight products apart from my facial oils but I could be tempted to pick this up. I’ve not tried many products from Fresh but what I have tried, I’ve loved. Oooh this sounds absolutely heavenly! Ok so I’m going to be needing to try this now. Fresh are such a great brand. This looks really lovely – a must try!! I’m on an overnight skincare high cause I really feel it works!